On May 12th, Jimmy Kimmel gave an emotional monologue on his late night TV show Jimmy Kimmel Live! about his newborn son’s health complications. In the week since, the video has been viewed over 10 million times on YouTube. It’s easy to dismiss it as just another feel good story, but there are several important lessons we all can learn from Kimmel’s experience – no matter which side of the aisle we sit on. On Friday, April 21st, Kimmel’s wife gave birth to a baby boy named William. 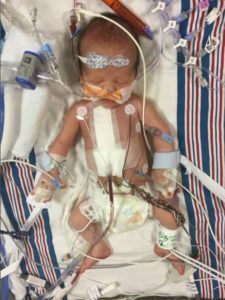 William was in seemingly great health after an easy birth; however, just a few hours into his life a nurse noticed a few early signs of what turned out to be a heart disease called tetralogy fallot with pulmonary atresia. The baby, nicknamed Billy, was slightly blue in color and there was a fain murmur in his heart. 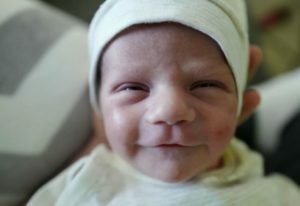 The doctors then performed a successful three hour surgery on Monday morning when William was only three days old. He will have another surgery in 3-6 months, and then one more hopefully noninvasive procedure in his teens. Jimmy Kimmel and wife Molly McNearney brought baby William home only 6 days later and he is doing well. Kimmel then went on to thank a list of people who helped to save his son’s life, family, friends, nurses, doctors, and even Matt Damon. He mentioned the great work that Children’s Hospital Los Angeles does for all children and his family specifically. “This is some place, Children’s Hospital Los Angeles. I hope you never have to go there, but if you do you will see so many kids with so many financial backgrounds being cared for so well and with so much compassion,” Kimmel said. Kimmel noted that he has supported Children’s Hospital for years, and he encouraged his viewers to donate. Kimmel then went on to talk about President Trump’s health care plan, which originally would have cut approximately $6 billion dollars in funding to the National Institute of Health. However, Congress eventually went the other direction and increased funding for NIH by $2 billion. 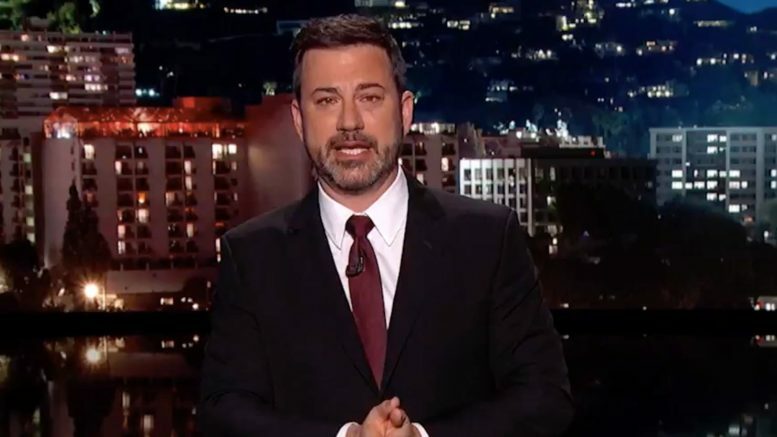 In discussing Obamacare and the new Trump healthcare plan, Kimmel made the argument that the amount of money you make should not determine if your children will receive medical attention. Kimmel asked Cassidy point blank: “Why are the vast majority of Republican politicians against making sure that Americans are truly covered when it comes to health care?” Cassidy responded by reminding Kimmel that the most well known Republican figure, President Donald Trump, has said that he wants his healthcare plan to cover all Americans, take care of pre-existing conditions without mandates, and lower premiums. However, Cassidy went on to note that the GOP healthcare bill in its current form actually raises premiums. While the discussion between Cassidy and Kimmel may have been more of a partisan debate than anything else, there is an important lesson we can learn from Kimmel’s story. Healthcare may often seem like a complicated mess of regulations, budgets, and CBO scores, but the effects of every decision are being felt every single day by real people. It shouldn’t take a story like this one to remind us that every vote has real-life consequences. If we simply dismiss this as just another feel good story or partisan stunt, we will miss the lesson here. No matter what box you check on the ballot every four years, we are Americans first and foremost. As Americans, we must find a solution to our healthcare crisis that puts people first. Above all, we must use kindness and compassion in every decision we make. This is more than just creating a plan to balance the budget or make certain elected officials happy. This is about real people, real lives, and real emergencies – like the one Jimmy Kimmel’s son faced. It is entirely possible to make good policy decisions that also put people first. Finally, as Christians we also must take every opportunity to show Christ’s love to those who need it. No matter what healthcare system our government puts in place, there will always be people around us who need love, care, and compassion. Our calling is not dependent on Congress. We have a mission as followers of Christ, and it is one that we cannot afford to neglect.